But the wanton wastage of our “energy lotto” on projects that did little to address some of the real problems facing the citizenry cry out for condemnation. How else can one deal with local contractors being owed $1.5 billion or more, one staggering debt incurred during Manning’s stewardship, but only now coming to light? I am certain these contractors took their plight to officials of the previous administration, but they were given a mighty runaround. Now, Finance Minister Winston Dookeran, facing a significant reduction in revenues in quarters two-and three of 2010, has to find this whopping sum to settle legitimate contractual obligations. He must also source funds to ensure that work at the 20-years-in-the-making Scarborough Hospital, continues. Then another $30 million is required for urgent works on clogged rivers in order to bring some relief to persistent flooding. Some schools are falling apart. HDC houses and apartments require an additional $50 million to bring them to habitable standards. Hospitals are in a woeful state, lacking staff, equipment and basic medication. These are issues that we must throw on Manning’s doorstep—except, like good Trinis, we may feel sorry for the man, now that his front yard is slipping, sliding away. Why the hell did he sanction wild spending on buildings that cost billions of dollars—NAPA, the Waterfront project, the Lara stadium, and more—even as the basic needs of citizens were not met? 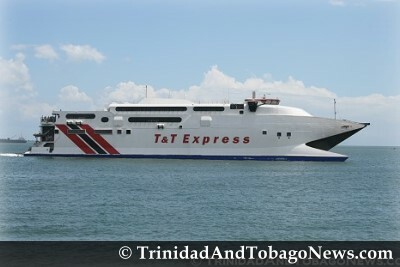 I also agree with Works Minister Jack Warner that we do not need six or eight or however many water taxis. That was a bad idea from the beginning, an expensive-but-porous plaster to cover a gaping wound. But when Colm Imbert is fixated on some wacky project, no one and nothing stands in his way. Jack is right about the extent of the subsidy taxpayers must meet to keep these boats afloat. Imagine a cost of $8,000 per trip to transport no more than 150 persons. Worse, these “taxis” make two trips on mornings, two on afternoons, and remain anchored at base for the remaining hours and days, weekends and holidays included. Madness! But it takes a madman to justify such lunacy. Our only hope now is that the Government can find buyers for all but two of these luxury toys that taxpayers paid for, just so Imbert can play with them. While on this subject of public transport, I need to return to the bus rapid transit (BRT) alternative that local transport engineers have long made a case for, over rapid rail. Mexico City, the eighth largest in the world, has a population of 18.5 million, spread over 2,000 square kilometres. In 2008, it officially launched the world’s longest BRT corridor (28.5kms) using 135 articulated buses. Pause: before that, we in little TT held that honour with our PBR! Our only sin is we never upgraded it (eliminating all those nuisance traffic lights with mini-overpasses), and we allowed too many non-public transport vehicles on it. But Mexico City’s story does not end there. Sure, it also has a big rail system. But it always did, so there was little additional cost incurred to upgrade it. If we go the rapid rail way, as Imbert was fixated on, we’d have to start from scratch at a cost of TT$30 million per km—and that’s only for infrastructure. Mexico City is continuing with the BRT system, expanding over five years to cover 240kms. Chile’s capital city, Santiago (5.6 million people), ordered 1,667 Volvo buses, manufactured, like ours, in Curitiba, Brazil (which also has BRT), for its dedicated bus lanes. The argument that favours BRT has been made ad nauseum: its construction costs are much lower than rapid rail, it can accommodate both buses and large maxi-taxis, and it’s flexible to the extent it can be used by medical and national security vehicles in the event of an emergency. In our case, we already have one, the PBR from POS to Arima. We now need to construct one more, from Mt Hope to San Fernando, starting at the existing PBR. In other words, we address the traffic problem from where it starts—in the North, working back to Chaguanas in the first instance, and later to San Fernando. It can be done over a five-year period, so the cost is spread out. And as soon as one section is complete, it’s opened to ease traffic congestion. Simple enough, right? Wrong. Mr Imbert will tell you the rapid rail is the only way—I think he has already spent millions of dollars on a “study”. And ex-senator Ramesh Deosaran backed the rapid rail idea because he “likes riding a train”! Hopefully, good sense will prevail and we do not repeat the gross misallocation of resources on projects that yield minimal benefits to the people. As PM Kamla says, “Serve the people! Serve the people!” Now, let us see her, and her Cabinet colleagues, serve the people, not their egos. The PNM spend and spend and spend. Giving most if not all the projects to party symphatizers and psuedo friends (aka Syrian clan). The only way to stop such things in the future is to keep the PNM out of power and keep the PP transparent with all it’s spending. Transparency is the hall mark of democracy. If people know what the government is doing they can speak out against it. Unfortunately, the PNM did not understand transparency until their economic boat developed leaks. And like a tsunami Trinis were suprised at the bloated projects and squandermainia. That must not be repeated. As the wise one would say, six of one , and half a dozen of the other, when it comes to new government of leadership, and the plight of neglected citizens. What a demeaning , embarrassment! I say ,if your right hand offend thee Tobago, time to cut it off. It’s what a 25 year old Raffique would encourage, not sure about now.